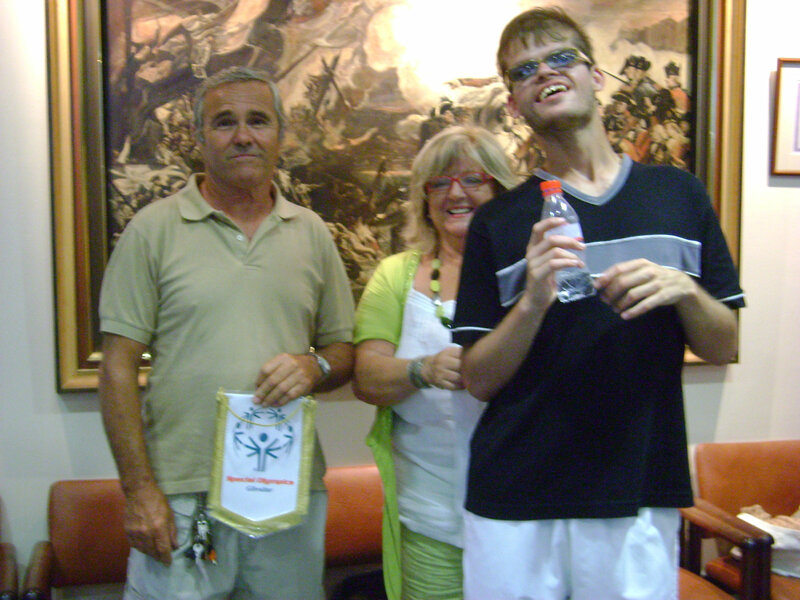 Special Olympics Gibraltar is grateful for loyal and generous sponsors who continually contribute to the movement helping athletes participate in games away from home. Without this generosity (there is always a need to raise additional funds) athletes would not have the opportunity to widen their experience and develop their competitive skills. 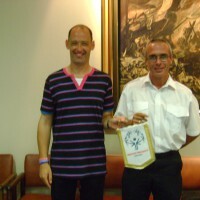 This summer Special Olympic athletes have been invited by the Isle of Man to participate in their summer games and while major sponsors will contribute the organizing committee has launched an Adopt an Athlete programme whereby local businesses, groups, individuals are asked to pair with an athlete. 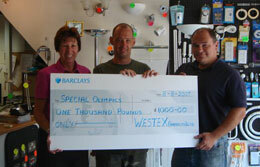 The cost to send each athlete is £600, and you are encouraged to help with your support. 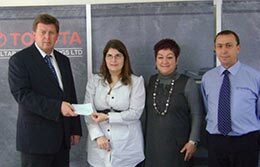 You may, if you wish, receive recognition on our website, in the local media etc but please specify this when you sponsor (see example photo on right). 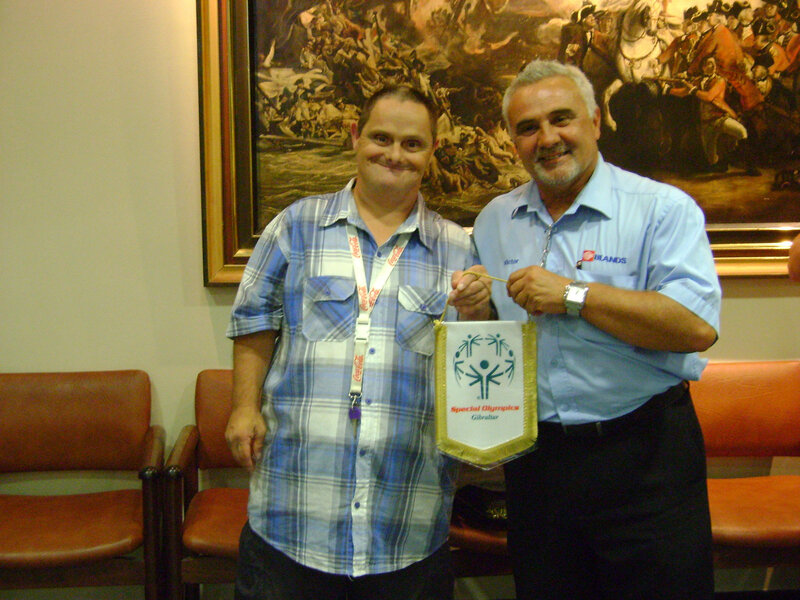 Through year round sports training and competition Special Olympics empowers the athletes to take their place in the sporting world and develop belief in themselves. Promoting dignity, acceptance and a chance to reach their potential, they are helped to develop physical fitness, a sense of self worth and are always ready to share their joy, skills and friendship. 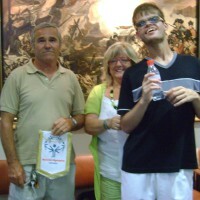 The athletes need your support so please get in touch. 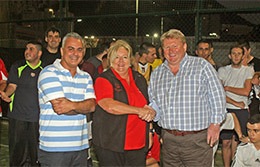 This campaign has got off to a good start with Bassadone Automotive Group sponsoring Sallyanne Mauro. 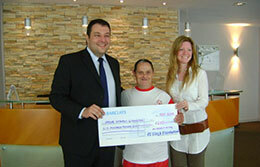 A presentation of cheque for £600 has been made to Sallyanne Mauro on behalf of Bassadone Automotive Group. 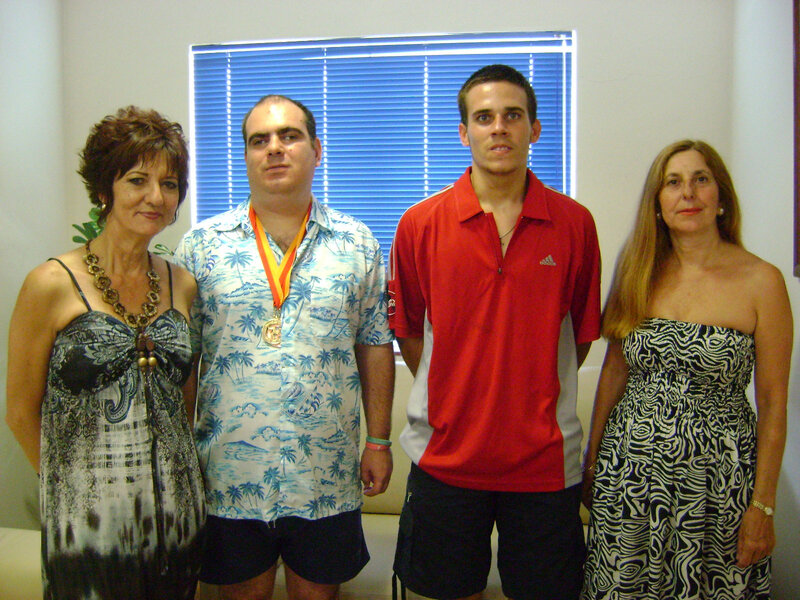 Present were, L to R; Kevin R. Jones, CEO, Sallyanne Mauro, Lourdes Barea, Human Resources, Michael Mauro, Sally’s Dad and Parent Representitve on Executive Committee Special Olympics. 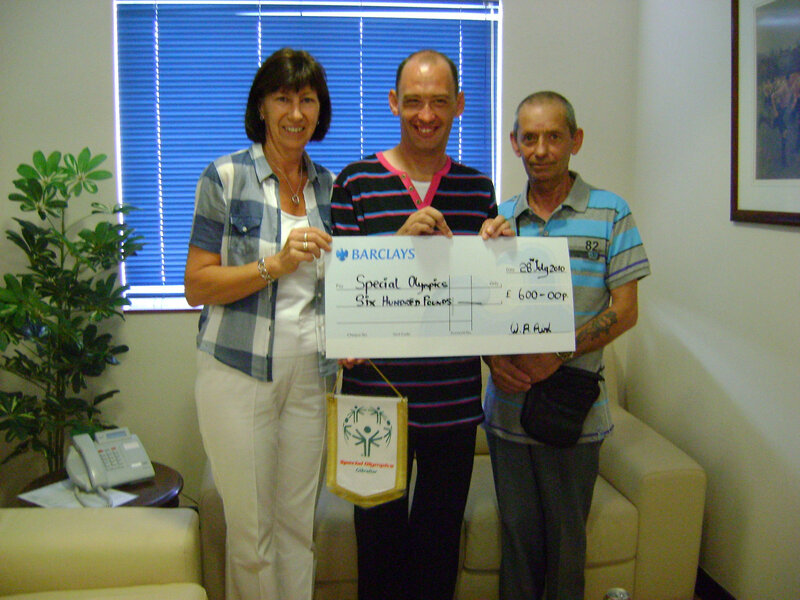 A cheque for £600 was presented to Special Olympics athlete Carlos Yeo on behalf of the PJ Isola Foundation by (L) Mr. Selwyn Fiqueras, Business Development Manager, and (R) Gemma Milliken. 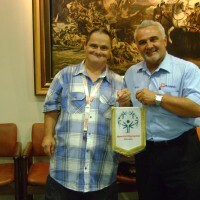 Carlos will be travelling to the Isle of Man in July as part of the Bocce team. 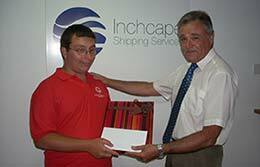 Presentation of £600 cheque by Mr. Brian Gomilla of Inchape Shipping to Special Olympics athlete Douglas Pitaluga prior to his departure for the Isle of Man Games. Douglas said thank you with a box of chocolates. 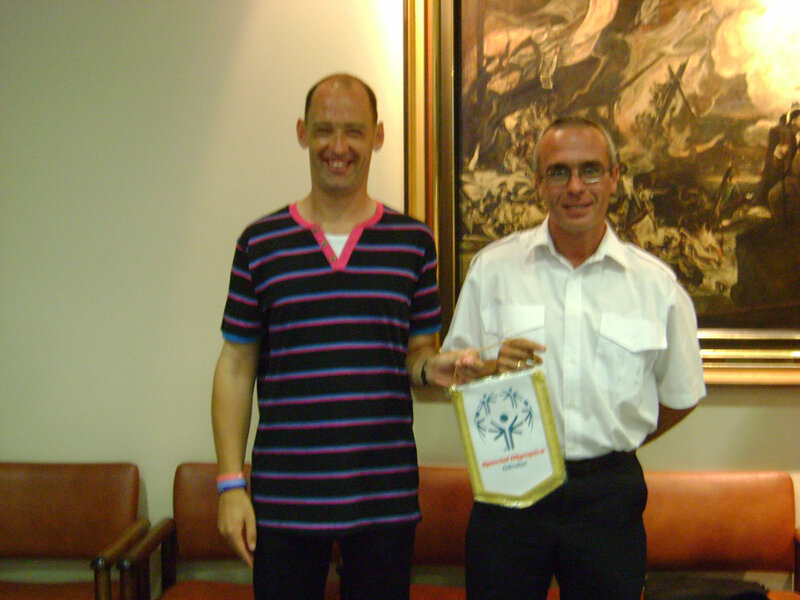 Mark Curtis of Select Football Management sponsored five Special Olympics Gibraltar athletes’ on their recent visit to the Isle of Man to participate in their Summer Games. Seen here with the football team during a training session. 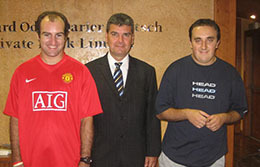 Lawrence Podesta, Chief Operating Officer, Lombard Odier Darier Hentch Private bank Ltd, pictured with two Special Olympics athletes which were sponsored for the Isle of Man Games in July. 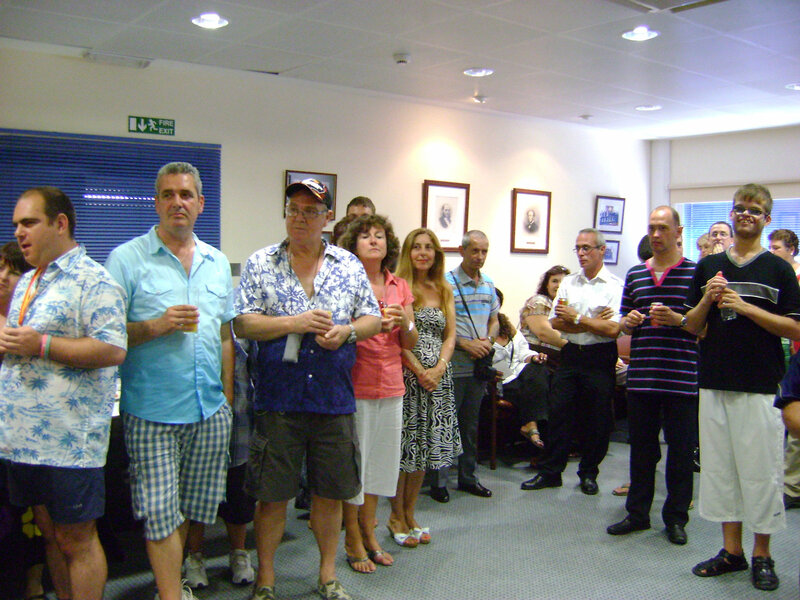 The Boardroom of Saccone and Speed was buzzing last Thursday 29th July as Special Olympics athletes newly returned from the Isle of Man Games met with their sponsors who had helped make the trip possible. 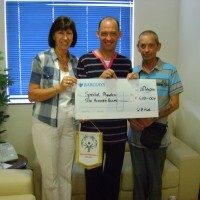 Please read the post, Isle of Man Games to get a complete picture of their participation. Listed below the sponsors who generously helped. On the night not all of them were able to attend the reception so the photos reflect those who did. 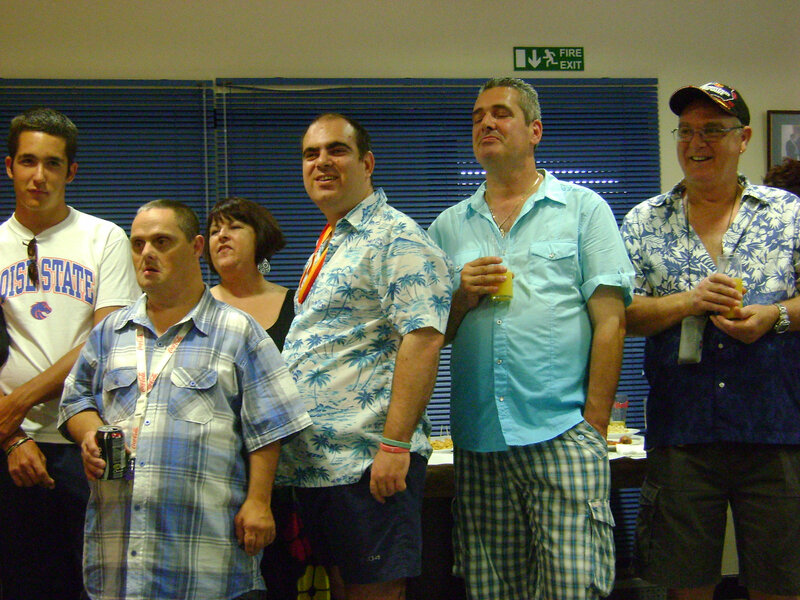 Special Olympics Gibraltar extends a heartful thank you to all those who support our athletes, again and again. Thank you.